The lovers of the electronic qualified music with alien taste. We are back after a long break! 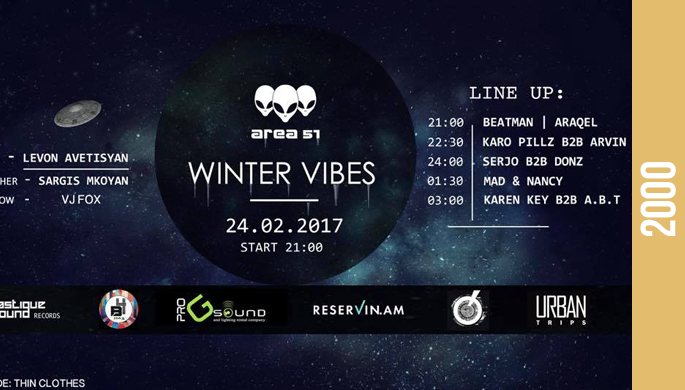 On the 24th of February will take place Area 51 st team's 2nd - "Winter Vibes" 2Peat B2B event. ► The tickets will be sold near the entrance. Remember! You can buy the tickets in advance at Before club. Hurry up to participate in a long waited unforgettable event. Follow our page, fix the date and exact time!